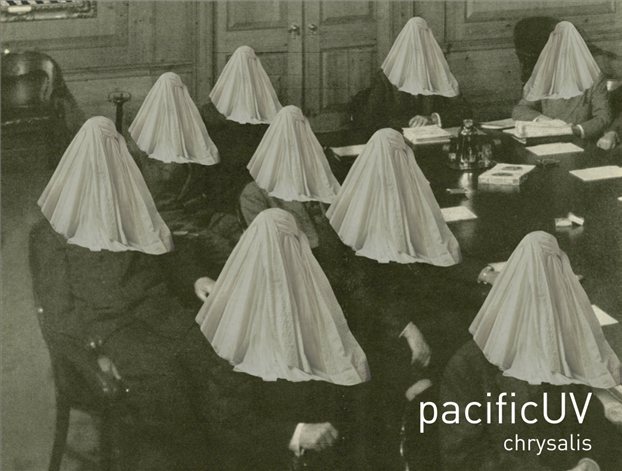 This is the latest free EP from Athens finest, Pacific UV. Apparently a new album is going to be ready early next year and I will certainly look forward to that. "Yes, two of the songs are from the free monthly series, but both have been updated and improved. ("Lakes" has been made longer and creepier, while "The Archduke" has vocals added to it). Of the three remaining tracks, one ("Ballerina") is a remix of a song to be included on our new album out in January 2012, and another is a remix of another LP track by ambient master mind Glowworm. The final song is a cover of the classic Smiths track "Please, Please, Please Let Me Get What I Want".